Pollinators are the cornerstone for most terrestrial ecosystems, yet according to the Intergovernmental Science-Policy Platform on Biodiversity and Ecosystem Services, they are in trouble. How much do we know about pollinators, and what can we do to protect them? As the days lengthen and grow warmer in the Northern Hemisphere, the landscape comes alive with the buzz and hum of insects and other animals visiting newly flowering plants. A hummingbird hovering alongside mountain larkspur (Delphinium glaucum) or a bumblebee alighting on a flowing shrub can inspire us to slow down and marvel at the wonder of nature. But the bucolic beauty of such scenes belies an urgency. or the creatures themselves, it is the desperate need to gather nectar or pollen to feed their young, attract a mate, or build a nest. For us people, it’s the pollination services they provide, without which we’d lose 75% of the food crops we eat as well as many important providers of fibers and medicine. And for 87.5% of Earth’s flowering plants–and the terrestrial ecosystems that rely on them–those seemingly serene flower visits are the difference between reproduction and extinction. Given their importance, you’d think pollinators and their habitats would be well protected by us humans. Think again. According to recent news from the Intergovernmental Science-Policy Platform on Biodiversity and Ecosystem Services (IPBES), 40% of invertebrate pollinators are threatened with global extinction. Though the status of vertebrate pollinators such as birds and bats is slightly less depressing, many populations are also in decline. With declines in honey bee populations making international news, there is a growing awareness of the importance of the pollination service they provide—at least with regard to the world’s food supply. But how many Americans know that the honey bee in those headlines is not even native to North America? How much do we know about native bees and other pollinators? Pollinator populations face mounting uncertainty from climate change, pollution, chemicals, invasive species, diseases, and parasites. Among the most serious threats are loss and fragmentation of pollinator habitat due to industrialized farming and human development. 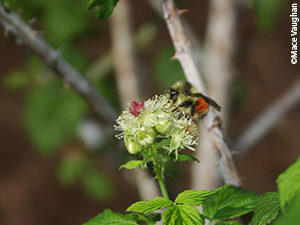 According to the Arizona-Sonora Desert Museum’s Forgotten Pollinator Project, we will likely witness substantial declines in crop yields and diminished survival of keystone plants vital to natural ecosystems unless pollinator conservation efforts move forward quickly and successfully. 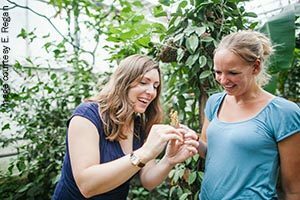 A recent international study suggests that non-bee insect pollinators such as wasps, beetles, flies, moths, ants, and butterflies, play a significant role in global crop production and may even provide pollination services that are more robust to changes in land use than those provided by bees. In fact, plants seem to have a fair amount of insurance when it comes to pollination; few rely on a single species of pollinator. 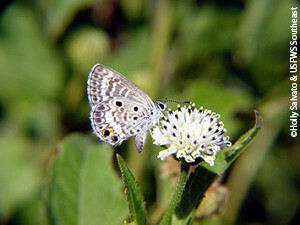 Instead they make use of several insects or some of the 1200 bird and mammal species that also pollinate. But this insurance does rely on widespread habitat and abundant natural populations. 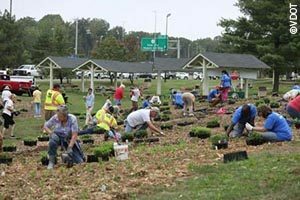 Fortunately, there are many people and organizations who are advancing research and actions related to pollinator habitat conservation and restoration. We are delighted to feature several of them in this issue of Leaf litter. We begin by chatting with the experts. 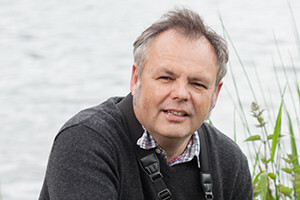 Jeff Ollerton, a University of Northampton professor who specializes in plant-pollinator relationships, pollinator diversity, plant reproductive biology, and the evolution of flowers, shares insight into the diversity and importance of pollinators. He also offers advice on incorporating pollinator habitat protection and restoration in planning and design work. Irish ecologist, researcher, naturalist and author Eugenie Regan tells us about her work assessing invertebrate pollinators at the national, continental, and global level. 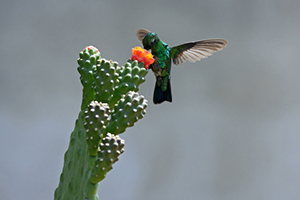 She also shares the findings from her recent study of the global status of bird and mammal pollinators. 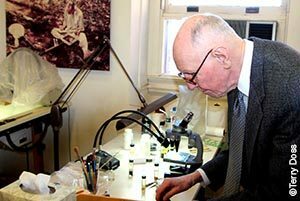 Entomologist Jerome Rozen is such an authority on bees, there is actually a species named after him. 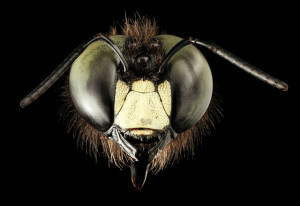 As a professor and as curator of the American Museum of Natural History’s Apoidea collection, he has studied bees for more than half a century. He describes some of the world’s lesser known bees, and tells us about regions of the world where bees are thriving. According to the Xerces Society, which we feature in our Non-Profit Spotlight, protecting, enhancing, or providing pollinator habitat is the best way to ensure that pollinators–and the critically important ecological functions and ecosystem services they provide—stick around. How can we, as planners, designers, and researchers, enhance pollinator habitat protection and restoration? For inspiration, we present a few promising examples of the efforts to of a variety of players at various scales. Water resources specialist Claudia Brown tells us how saving pollinators can also save water, fish, and forests. The recently released IPBES study showed that between $235 billion and $577 billion worth of global food production relies on pollinators each year. Big numbers help illustrate big pictures, but they don’t reveal the powerful stories that occur a smaller scale. 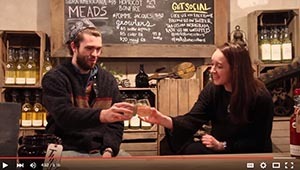 In this video, ecological planner/designer Jennifer Dowdell chats with a local cellar master about some of his products that could not exist without pollinators. Fortunately for those of us interested in learning more about pollinators and pollinator habitat, there are loads of publications and web sites devoted to the topic. We share many of them in the Resources section of this issue. As always, we invite you to catch up on the latest news at Biohabitats and share your thoughts on this issue of Leaf Litter. Pollinators are fascinating. From the mind-blowing mutualism of figs (Ficas) and fig wasps (Agaonidae) (see “Figs & Fig Wasps: Fascinating Mutualism” insert in our Q&A with Jeff Ollerton) to the wonders of creatures like the long-nosed bat (Leptonicterus) to whom we owe our thanks for tequila, and the tiny midge fly (Forcipomyia & Euprojoannisia), without whom we would not have chocolate, pollinators and their urgent flower visits are not just mesmerizing, they’re the cornerstone for much of life on Earth.